Bollywood celebrities like Karan Johar, Varun Dhawan, Hrithik Roshan, Shahid Kapoor, Alia Bhatt and Anushka Sharma, among others also tweeted support for the state and its people. 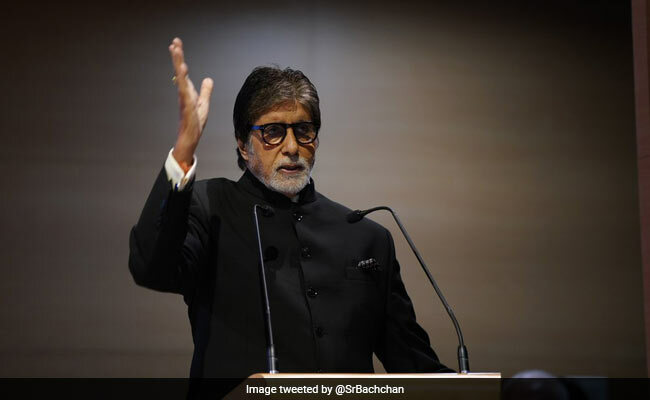 Megastar Amitabh Bachchan has expressed concern over the "frightening" situation in Kerala where 197 people have lost their lives and 36 are missing since August 8 due to floods and landslides. The deadliest deluge in Kerala in close to a century has battered the scenic state, with its infrastructure, standing crops and tourism facilities severely hit. The 75-year-old actor took to Twitter and urged people to contribute to relief fund for the state. "The devastation caused by incessant rain in Kerala is frightening! Hundreds and thousands of our sisters and brothers are in deep anguish!" Mr Bachchan wrote. "We must do all we can to contribute as much as we can towards the needs of the people of Kerala... I have... You must too..." he added. Hrithik Roshan wrote, "The situation in Kerala is critical. Help is required. Please let's come forward and do whatever we can. Our friends in Kerala need us right now. I have contributed a sum and I request you all to do whatever you can. God bless #KeralaFloodRelief." Actor Sidharth Malhotra said he has contributed to the relief fund for the state and wrote, "Let's all get together and show our unified strength for Kerala. Contribute however you can and donate any amount here. Pray for everyone in distress. #KeralaFlood." as he tweeted the link of Chief Minister's Relief Fund. "Kerala is on red alert and Habitat for Humanity India is helping those who are stranded! I urge everyone to help those in need..." Jacqueline Fernandez tweeted. Swara Bhasker shared a message on her Instagram page and also urged people to donate for the cause. "The state of #Kerala in #India has been devastated by floods. Hundreds have died and bodies are still being recovered. 600,000 people are living in shelters. Please donate and help #savekerala #keralafloods," she wrote. "Karwaan" actor Dulquer Salmaan tweeted a poster with emergency numbers to help the people. "Urging and requesting the #nationalmedia to focus and draw attention to #keralafloods! Each day is looking more grim for millions," he said.